Finding good reading materials for young children learning to read can be difficult. Fortunately, there are still good quality books available, such as Early Readers Level 1. This progressive word building series is designed with the young child in mind. 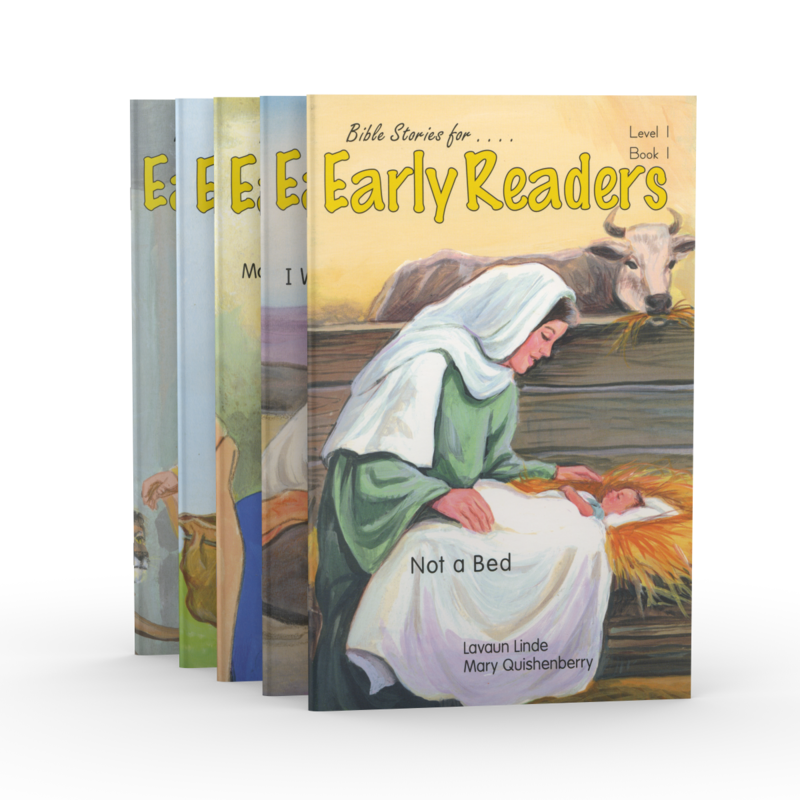 Much-loved Bible stories are retold in simple language for beginning readers. "Not a Bed" tells the story of Jesus' birth. "I Will Help" is about the Good Samaritan. "Mom and the Lad" is based on Elijah and the Widow of Zarephath. "The Lad's Bag" tells the story of the five loaves and two fishes. "Daniel and the Big Cats" is about Daniel in the lion's den. But there's even more! These books are specifically mentioned within the 1-2-3 Read! program from The Weaver Curriculum®, so you'll know exactly when to introduce them to your child. As you move through the phonics program with your child, they'll move through these books. The Early Readers Level 1 books will soon become favorites with everyone in your home! Best of all, each book includes the Scripture verses noting where the story is found in the Bible. Order your copy of Early Readers Level 1 from Alpha Omega Publications today and discover the joy of having your child read to you!